Plow to Straddle Family Style! Let’s Find your 1 Rep Max to add to your other lifts!! 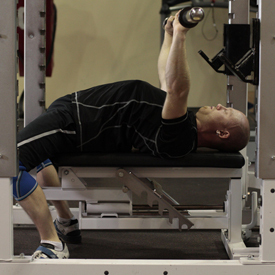 Setting Up for the Bench Press.– Lie down on the bench and align yourself till the bar is around your eye level. This allows you to take the bar off and not hit any part of the bench when you perform the movement. – Place your heels in line with and as close to your hips as you can- Stay flat-footed with your feet pointing out around 45 degrees on the ground. This allows you to use your legs to help drive more force into the movement as well as contract the glutes and hamstrings to help stabilize your entire body during the movement. However, a level of mobility and flexibility in the lower body are required. Particularly, in the calf muscles, the hip flexors and the quads to allow you to adopt a good set up position for the lower body. 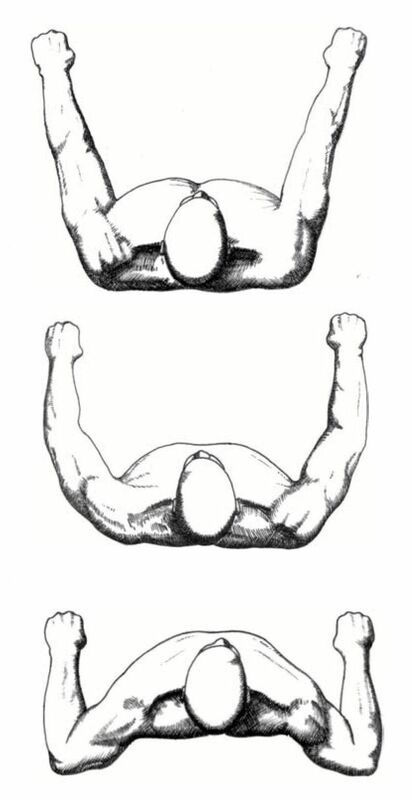 – Your grip should be set slightly wider than shoulder width. This should allow you to have your hands directly above your elbows when the bar is lowered down a spot between the middle and bottom of your breast bone. This also allows you to keep the elbows in and utilize the triceps better when benching, reduce stress on the shoulders and also allow the use of your lats for stabilization during the movement. – Shoulder blades should be pulled back and compacted and the chest should be expanded to allow this to occur. 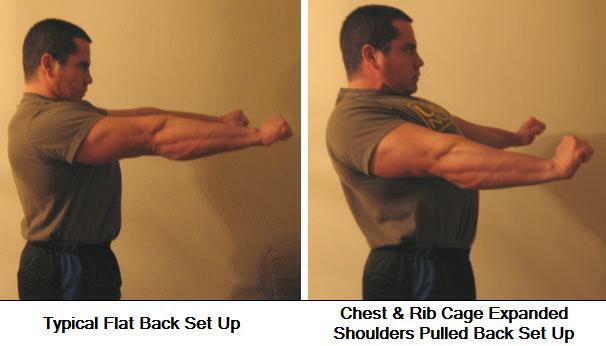 This helps with stabilizing your upper body when performing the movement. This also decreases the distance the bar has to travel during the movement, allowing you to transfer more energy into the movement. – At this point, there should be 6 points which allow you to anchor yourself firmly to perform the movement properly. These 6 points are 2 shoulder blades, 2 glutes and 2 feet. With them, it gives you stability while performing the movement, and fully utilizing your body to exert as much force as you can throughout. 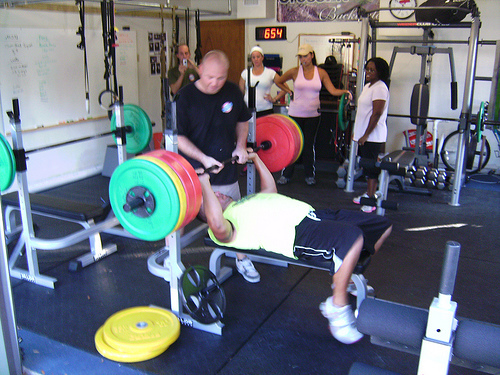 Work on setting up your bench press position properly and you will realize that your efficiency in the movement will increase tremendously. A good start always contributes to a good finish! More parts in this series about the Bench Press will follow, so be sure to stay tuned if you are serious about increasing your strength in your Bench! Friday 9-7-2012 BDAY WODS B-Rad and Paul!